Working together because it results in European subsidies isn’t fertile ground; this became apparent at the 13th ICOP congress. However, working together because it’ll be better for growers in the end, is one way to professionalise and face future challenges. 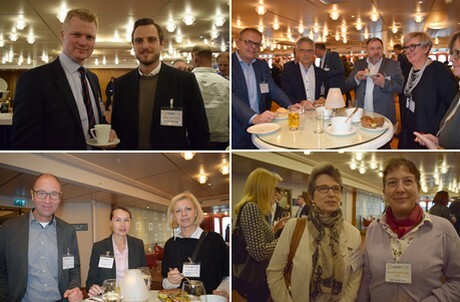 The Netherlands was the host country for the 13th International Congress of Producing Organisations for fruit and vegetables (ICOP), which was held at the SS Rotterdam. Around 160 representatives from 21 different countries took part in the congress, where agricultural politics and CMO regulations, the market trends, and sustainability were main topics, as was the question of how POs from the different countries actually came about. In the coming newsletters, a report of the topics will follow, but for now a photo report with participants of the congress on the SS Rotterdam. Please click here for the photo report. 2019-04-16 "Hopefully suppliers will see the possibilities of Iran and not act in haste"
2019-04-12 Deadline GreenTech Innovation Award nearby!